Beginning in April 2016, a series of shallow large earthquakes struck the Kumamoto area of Kyushu, southwest Japan, killing 64 people and destroying more than 37,000 houses completely or partially. The keyword of the Kumamoto earthquake is the sequential occurrence of multiple earthquake. The sequence was also a series of surprise. It started with the magnitude 6.5 earthquake, accompanied by numerous aftershocks more often than usual. It was only 28 hours later that the area was again hit by an even bigger earthquake of magnitude 7.3. These two were among the four earthquakes (in Japan since 1996) which recoded instrumentally the highest level of ground shaking with seismic intensity 7. The subsequent seismic activity was not confined in the epicentral regions of these two shocks but expanded far away from them mainly in the northeast direction. 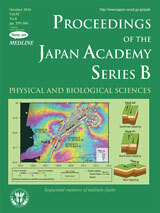 The significant aftershock activity is still continuing at the time of writing this cover commentary (September, 2016). Kato et al. (this issue, pp. 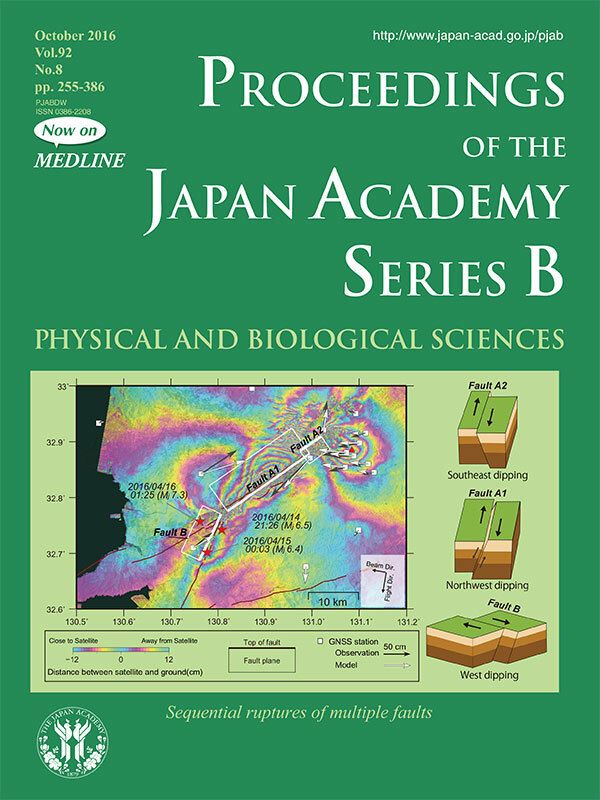 358-371) summarizes the intense seismicity related to the 2016 Kumamoto earthquake sequence based on the spatio-temporal evolution of earthquakes and crustal surface deformation, recorded by a dense nationwide network of seismic and geodetic sensors. High-resolution image of the rupture process of the Kumamoto earthquake clearly shows that multi fault segments were sequentially ruptured along known active faults in the central Kyushu. An interplay between different fault segments resulted to the complicated evolution of the earthquake ruptures and the intense seismicity. Earthquake-associated stress changes and stress interactions between multi scale fault structures make it difficult to predict accurately what will happen next in the ongoing earthquake sequence. Each earthquake has a non-zero probability of being followed by a larger one. It is thus of crucial importance to deepen our fundamental understanding of basic physics behind the complex earthquake activity.